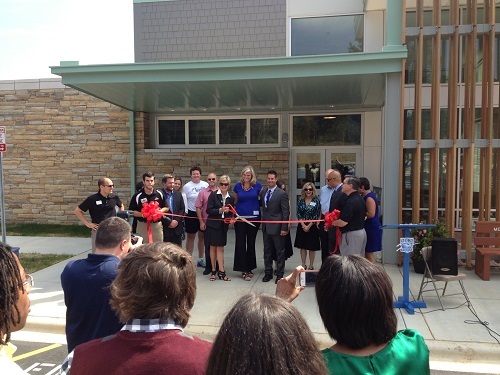 Mc2 Engineering worked on both the temporary campus and permanent campus of Mountain Island Charter School. 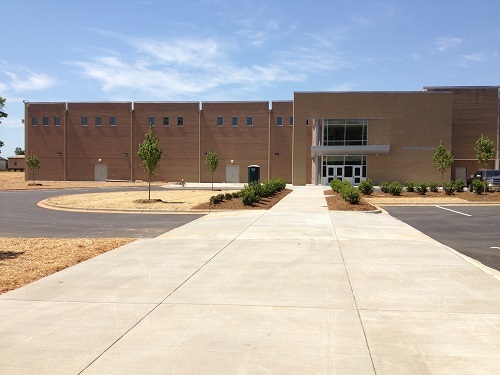 The permanent campus includes a permanent administrative building, multi-purpose (gymnasium) building and 8 temporary classroom buildings totaling 63,500 sf. The infrastructure is designed to easily enable future expansion. When funding becomes available for permanent classrooms, the temporary classrooms are designed to be removed and additional athletic space becomes immediately available. Configuration to maximize carpool lanes. An assessment of the school determined that the home and visitor bleachers needed to be immediately replaced. As part of the bleacher replacement additional designs were needed for concessions, bathrooms and ticket booths. The design also included emergency vehicle access during sporting events. Construction was phased to allow bleacher availability during the athletic season. This school is part of the Gaston County School System and is located in Cherryville, NC. Bleacher replacements were also completed at South Point High School and East Gaston High School for Gaston County Schools. 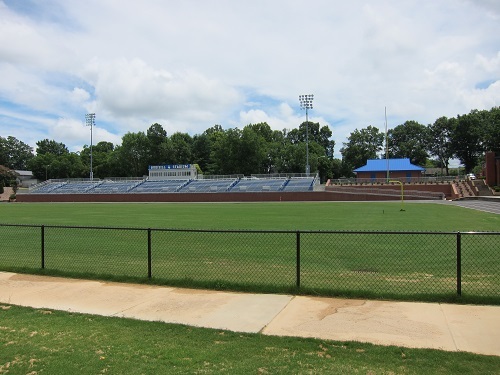 The projects included construction of new visitor bleachers at the football stadium, concession and bathroom building. The second phase involved renovating the existing gymnasium and constructing a new gymnasium and administrative building. Also, additional student parking and handicap access to the existing football stadium was incorporated. 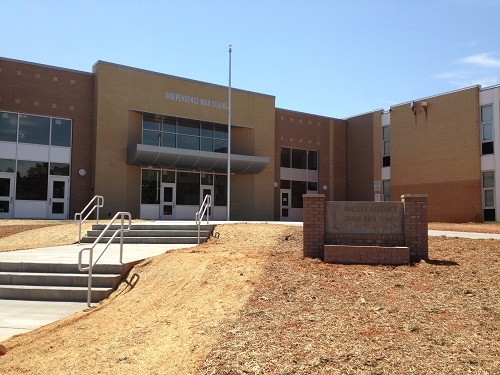 The school is part of the Charlotte-Mecklenburg School System. 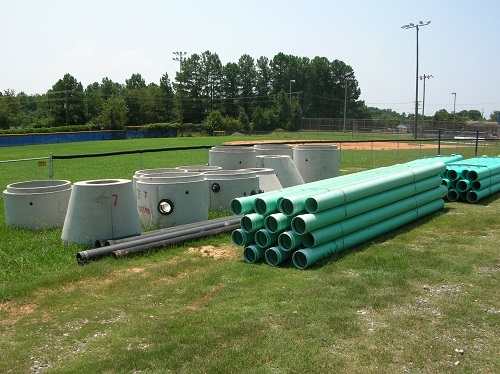 After several water quality issues and sanitary sewer system failures, a completely new water and sewer system for the school was designed. The design and construction were completed in phases. This allowed portions of the system to be installed, while limiting impact to the existing restrooms and water within the building during the school year. 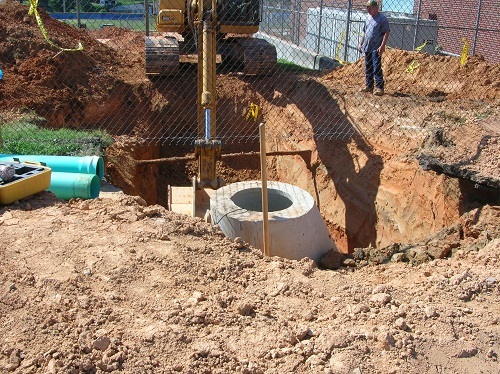 During construction, it was discovered that the school had a combined sewer system where the sanitary sewer and storm sewer were both directed into the sanitary sewer system. The system was split becoming compliant with current regulations and therefore reducing the impacts to the existing sewage treatment plant. The school is part of the Gaston County School System.